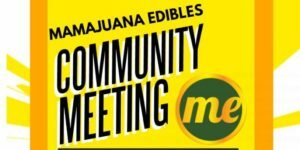 Come to Mamajuana Edibles first Community Meeting for cannabis enthusiasts to discuss the current state of Cannabis legalization medically and recreationally in DC and across the nation. . We will also kickoff our national CannaVote Campaign to elect political candidates locally, statewide and nationally on – the legalization of cannabis in all states and its removal from Schedule 1 as one of the most deadliest drugs in America!